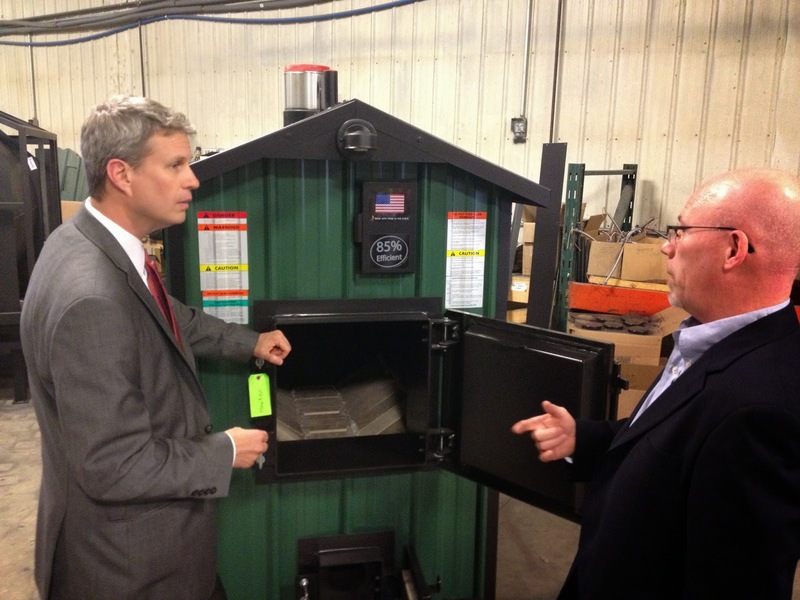 Massachusetts announced an 8th round of annual funding for its innovative wood stove change out program. The program was the first in the country to develop a change out program that gave higher incentives to fully automated stoves and stoves that provide a verified efficiency on the list of EPA certified stoves. The program, updated in April 2019, changes some of the rebate levels and provides consistently higher levels of rebates than most change out programs. It now offers Massachusetts residents between $500 and $3,250 for upgrades, depending on the stove and income level of the family. To be eligible, households must have an operating, uncertified wood stove to trade in for a new wood or pellet stove. Rebates can cover 30 - 80% of costs of the new stove and installation. Governor Charlie Baker said in a statement the change-out program "improves air quality across the commonwealth and helps residents save money by adopting more efficient, cost cutting heating technologies." The program favors appliances that burn more cleanly in the hands of consumers by offering the highest rebates ($1,750) to pellet and fully automated stoves that have listed efficiencies over 65%. The highest wood stove rebates ($1,250) can be claimed for catalytic (or hybrid) or non-catalytic stoves that emit 2 grams an hour or less and have a listed efficiency of 65% or more on the EPA list. The lowest rebate of $500 covers non-cat stoves that emit between 2 and 3 grams and do not have a listed efficiency. Income-based rebates for low income residents range from $2,000 to $2,750, plus the efficiency adder if the stove has a listed efficiency. This table is reproduced from the Change-out Program Manual (pdf). Massachusetts provides a helpful list of rebate amounts for all stoves that emit under 3 grams an hour. There are 596 stoves on the list. As a sign of the changing face of wood stoves in America, 216 or 36% of these stoves have verified efficiencies on the EPA list. Just two years ago, in the spring of 2017, only 87 stoves had listed efficiencies of 65% or higher. This shows that in a short span of time, consumers have far more access to efficiency data than in the past. Change out programs like this one help drive consumers to purchase higher efficiency stoves. According to people familiar with the Massachusetts program, most consumers buy stoves with listed efficiencies rather than forgo the $500 - $750 efficiency adder. 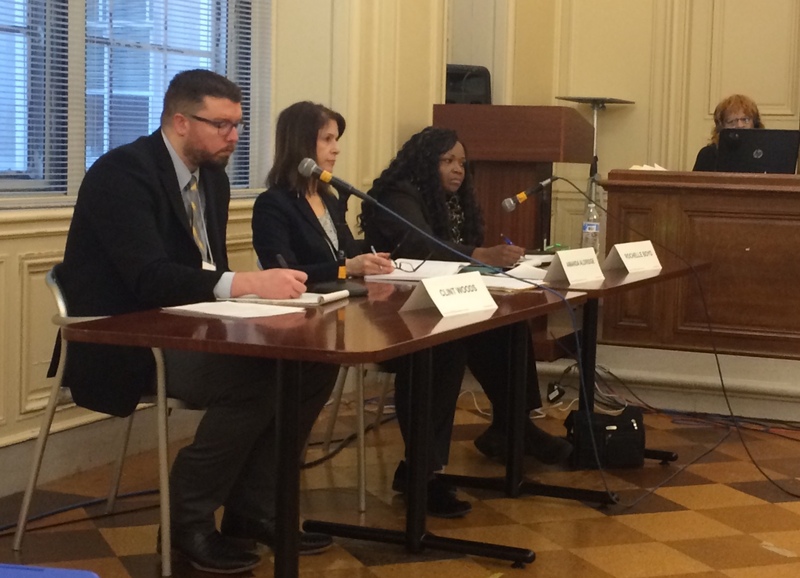 New York and Maryland also now include efficiency criteria in statewide stove incentive programs. In a further sign of changing times, we are seeing a major resurgence of catalytic stoves. Fifty of the 216 stoves with verified efficiencies are cat stoves, compared to 61 that are non-cat. Many manufacturers are now using the term "hybrid" for stoves that have a catalyst and robust non-cat secondary combustion. Given the spotty reputation of catalytic stoves in the 80s and 90s, some manufacturers appear to be using catalysts to pass the 2020 standards but not advertising that the stove has one. In the Massachusetts change out program, hybrids are treated like catalytic stoves and receive the higher rebate. Pellet stoves comprise the biggest share of stoves with listed efficiencies with 95 models. 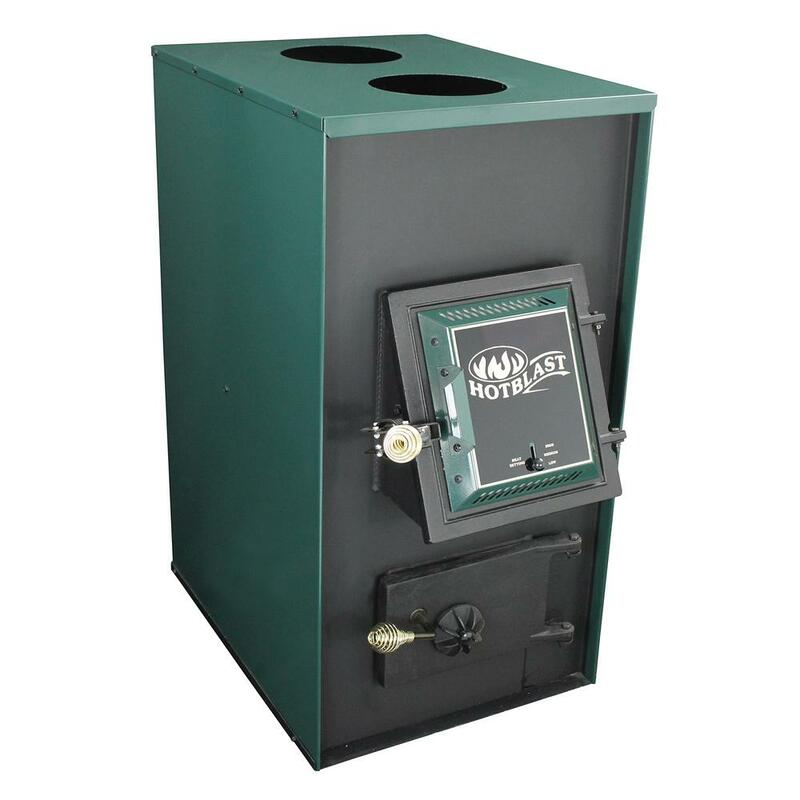 This high number of pellet stoves is a reflection of the ease of getting pellet stoves re-certified to the 2020 standards, which require efficiency testing and disclosure. the Fire Place in Whately MA. Possibly most surprising part of the Massachusetts list is that the 6 stove models under 65% efficiency are all pellet stoves. It is vital for consumers to rely on the efficiency figures on the EPA list because most stove manufacturers continue to provide exaggerated or misleading efficiencies on their websites and promotional materials. For example, the Regency Greenfire GC60 made by Sherwood Industries was tested at 60% efficiency, which had to be disclosed on the EPA list. But the manufacturer's website says "76.6% optimum efficiency." Massachusetts' program gives its highest stove rebate of $1,250 to "fully automated woodstoves (FAW)" that consumers can "load and leave." A FAW is defined in the program as a "stove that (a) automatically adjust the stove’s airflow and therefore includes no manual airflow controls and (b) has sensors that provide temperature-control capabilities." There are currently four such stoves on the list. Determining which stoves can be designated as fully automated is tricky. Other states and change out programs are interested in this issue as well. The development of automated wood stoves could eventually reshape how we think about wood stoves, as they transform an age-old technology into a modern, high-tech appliance. One important characteristic of wood stoves that does not appear on any list of stoves is whether the stove was designed for, and tested with, cordwood. Change out programs may see value in giving an extra rebate to encourage more consumers to use stoves designed to burn with cordwood instead of crib wood. 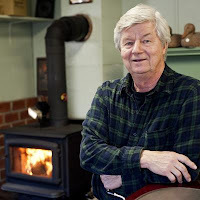 The 2019 Commonwealth Woodstove Change-Out Program has a budget of $450,000, which adds to the more than $2 million in funding for change-outs since the program began in 2012. The program has helped more than 2,300 residents swap out their non-EPA certified, inefficient stoves for newer, cleaner models. More than 500 of these rebates went to residents earning less than 80 percent of the state median income. 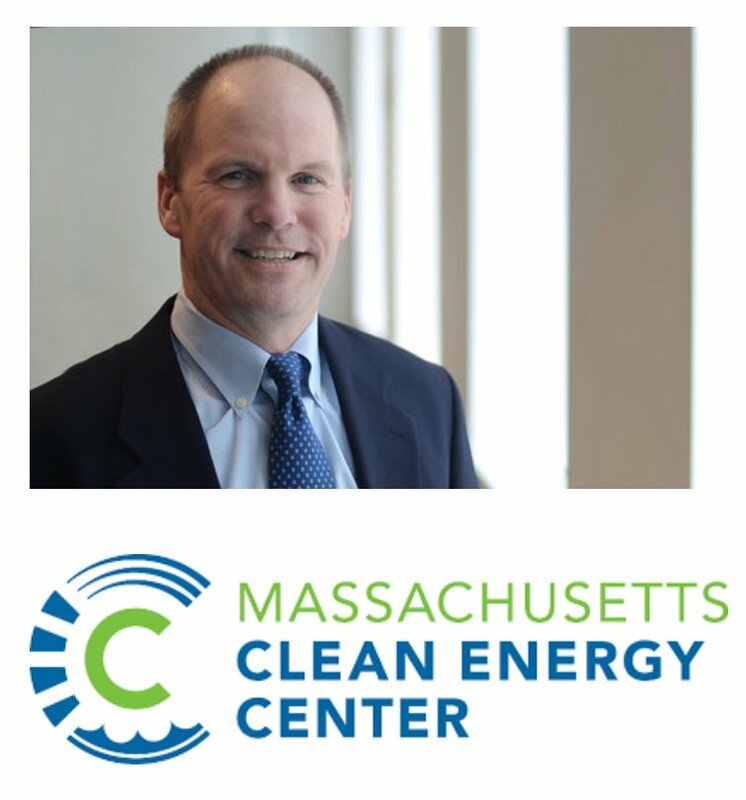 The program is run the by Massachusetts Clean Energy Center (MassCEC) in coordination with the Massachusetts Department of Energy Resources (DOER). Residents must have the new stove installed by a Participating Stove Professional who ensures that the old, uncertified wood stove is destroyed. There are currently 65 stove professionals participating, double the number from 2 years ago. Installers are encouraged, but not required, to be NFI or CSIA accredited. a Vesta Award for their furnace. Updated on April 5, 2019 - Many said it could not be done. 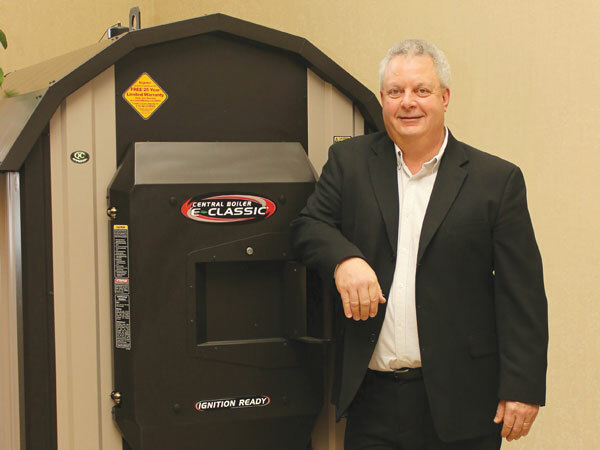 A competitor called it “preposterous.” But HY-C, a Missouri company that makes a budget line of warm air wood-fired furnaces, is well on their way to being ready for June 2020, when stricter EPA regulations come into effect. Their first 2020 compliant model, their smallest unit, was certified at 0.106 lb/MMBtu Output, well under the .15 allowable. The suggested retail price is $1,899 which is only $100 more than the previous unit that was certified to the 2017 standards. 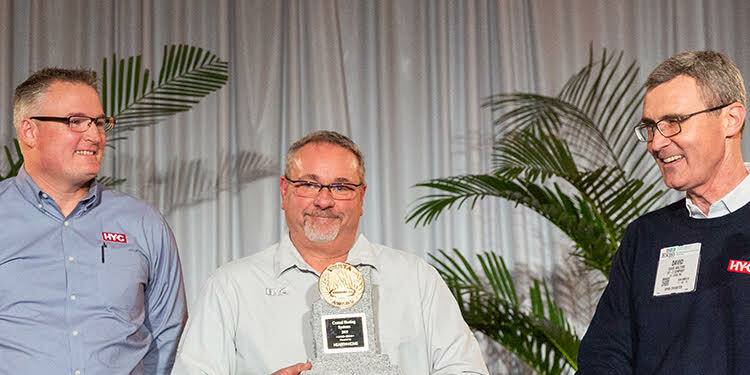 HY-C won a Vesta Award for the furnace at the industry’s annual expo in Dallas last week. In 2014, HY-C went to the EPA and urged them to adopt a laddered approach, giving companies several years to get certified and several more to meet a stricter standard. “The EPA was responsive, giving us a total of 5 years,” David Walters, President of HY-C recalled in a phone interview. David said that when they bought the company in 2011, the NSPS process was well underway, and they knew they would have to change and clean up. “It wasn’t easy, but we did it, and that is good for the environment, for consumers, and for us, the manufacturer,” David said. The EPA won’t list a certified unit on the list of certified appliances until the company posts their lab test report on their website. Parts of those reports are highly technical but provide key information for consumers and others. The HY-C report said the unit achieved 50% delivered efficiency and a stack loss efficiency of 71%. It was certified using a modified test protocol that had been approved in advance by the EPA. Intertek laboratories did the testing using about 36-pound loads of cord wood that had about 22% moisture content. The five tests ran 3 to 6 hours. Their target output was 13,000 – 37,000 BTUs but the certification test obtained 20,000 – 34,000, due in part to the modified test protocol. To date, the only other company to have a 2020 compliant forced air furnace is Lamppa Manufacturing, which hit .09 lbs/MMBtu several year ago and has a 54% delivered efficiency, slightly above the HY-C unit and a stack loss efficiency of 79%. That unit, the Vapor-Fire 100 is currently priced at $5,695 and also obtained a test protocol variance from the EPA in the test protocol. The Vapor Fire weights 670 pounds, which may indicate thicker and more durable materials compared to the HY-C unit at 435 pounds. Another big player in the forced air furnace space is US Stove, and it’s unclear when they will have a 2020 compliant unit. Of their eight units certified to the 2017 standards, one came in at 33% efficiency and an average of 60% efficiency. US Stove is urging the EPA to repeal the Step 2 standards for forced air furnaces, arguing that agency picked a “compliance limit out of thin air with not [sic] real data to support it.” In a filing with the EPA, they said that the EPA’s timeline of going from an uncertified appliance category to meeting .15 mmBTU “is preposterous and unrealistic.” HY-C appears to have just proved otherwise. However, the willingness of the EPA to approve alternative test methods can be controversial, and companies often claim a competitor got an unfair advantage with a particular variance. The EPA is not supposed to approve variances that make the protocol easier to pass, but that may just what is happening in some instances. Variances are a critical tool for the EPA to allow for innovative products to be fairly tested and they also create a precedent for others to receive similar variances. The largest player in the Canadian forced air furnace market is Stove Builders International (SBI) and they do not directly compete in the budget market with US Stove or HY-C. SBI is also working on certifying furnaces to the 2020 standards but “we are trying to achieve the desired performance without using the alternative test method that the EPA has granted to others,” said Marc-Antoine Cantin, of SBI. “We want to put out a product that cycles combustion and doesn’t just cycle the blower, while the unit is kept burning at a single burn rate,” Cantin said. HY-C sells their furnaces through a variety of distributors and retailers, including many big box stores. They provide all of their own customer services and have tens of thousands of units in the field that provide them with intensive customer feedback. They make all of their furnaces in St. Louis Missouri and have extremely little inventory of non-2020 inventory left and expect to start shipping 2020 compliant units in July. “We worked hard with distributors, so the pipeline of older units is dry,” Walter told us. As a result, they have abstained from the debate as to whether the wider industry needs a 2-year sell through for units that are not 2020 compliant. Lamppa has been an outspoken defender of the original timelines, arguing that a 2-year sell through would be unfair. Click here for more on that debate. Both US Stove and HY-C say that their customer base is very price sensitive and need a furnace under $2,000, if not close to $1,500. Other industry experts have questioned how so many people came to expect a whole house furnace for less than the price of an average wood stove and assumed that price would have to climb substantially to meet 2020 emission standards. At the core of the fight between industry, states and air quality agencies is whether the price of wood appliances and costs to manufacturers should drive EPA standards more than other factors. While HY-C was able to meet both the timeline and the emission standards, it is still unclear how well it will be received by the general public. US Stove also make “coal only” units that are exempt from EPA emissions and sell side-by-side in many stores with the regulated wood units. HY-C has a coal only unit but only sells a few each year direct to consumers and not through retailers. According to one industry insider, Tractor Supply Company stores is the biggest seller of wood furnaces from their 1,700 US stores. Floor staff at chain hardware stores like this have reportedly been trained to inform consumers that the “coal only” units can burn wood perfectly well. Companies that make both wood and coal units benefit from this and can sustain market share, even as EPA standards tighten. Certifying to 2020 standards appears to have led to shorter burn times and more finicky furnace and boilers for some units. HY-C advertised up to 12-hour burn time and a maximum of 130,000 BTU output for the unit as certified to 2017 emission standards. The EPA listed BTU output up to 45,000. The 2020 version only had up to 6-hour burn times in the lab and a maximum of 34,000 BTU output. Both the 2017 and the 2020 model accept 20-inch logs. Can the 2020 version meet consumer expectations at virtually the same price? But for now, HY-C achieved what they set out to. “We planned to build a better mouse trap and we feel that we succeeded, with advice from industry experts and our consumers,” David Walter said. “In America, we should not take for granted that we have clean air and water, thanks to Congress and decades of work by the EPA,” Walter continued. If anyone thinks the EPA efforts are a waste of time, Walters says all you have to do is visit Shanghai or some other foreign cities. “It’s so polluted you can barely walk outside and see the other side of the street,” he said. this stone building since 1976. 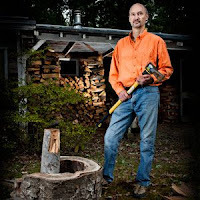 Ed and Nancy Bodmer opened a wood stove story in the mid 1970s when they discovered Ashley stoves beat out all the cheaply made stoves on the market. 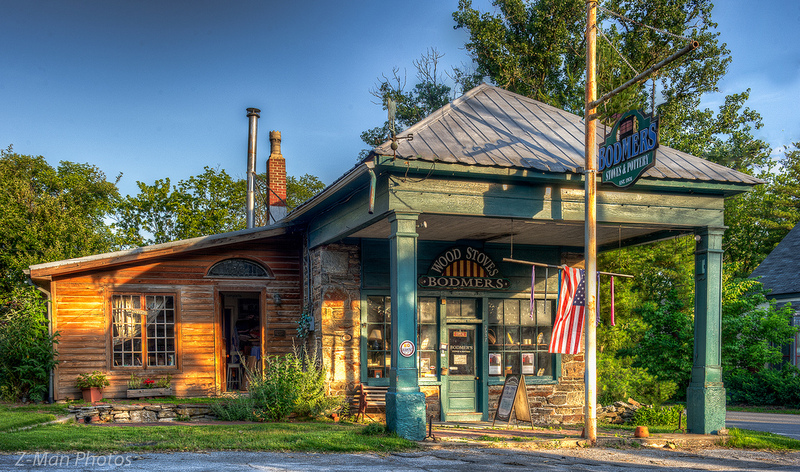 That led to more than four decades selling wood stoves – and experiencing the ups and downs in wood heating in America. Ed and Nancy typify the older generation of stove retailers who spanned the transition from the inefficient, uncertified stoves, to the far more efficient and cleaner ones today. Unfortunately, by far the biggest heyday for stove sales was in the late 70s and early 80s prior to EPA emission regulations, leaving the country saddled with millions of polluting and inefficient stoves. Retailers like Ed Bodmer have spent decades of their lives helping with the transition to cleaner stoves. 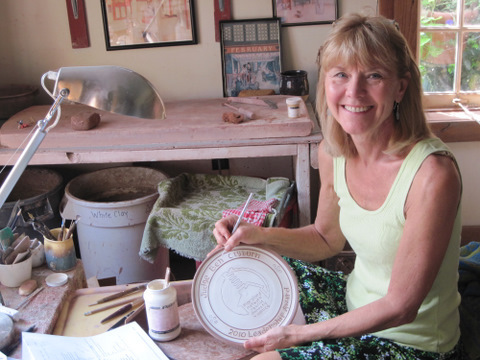 Their store, Bodmer’s Stoves is also home to Bodmer’s Pottery, run by Nancy and is located in an old, stone building Buckeystown, 10 miles south of Frederick in rural Maryland. We called Ed to talk to him about his experiences over the years and heard many intriguing stories. “Actually, I didn’t want to sell this year. I wanted to wait until 2020 when I turned 75, but this guy really wanted to the business,” Ed recalled in a phone interview. This guy owns a local heating company and he called Jotul and Vermont Castings to become a dealer. Both of those companies said no, because Ed Bodmer had that territory. So, his only recourse was to buy out Ed, along with all his inventory. “We kind of fell into the business, like many others, when we were just looking for a good woodstove for our own home,” Ed said. They started with Ashley and grew to represent many big-name brands like Pacific Energy, Jotul and Vermont Casting. “We like the kind of people who are willing to cut their own wood and grow their own food,” Ed recalled. That culture was popular in the late 60s and 70s and there is a resurgence in local food today, if not heating with cord wood. 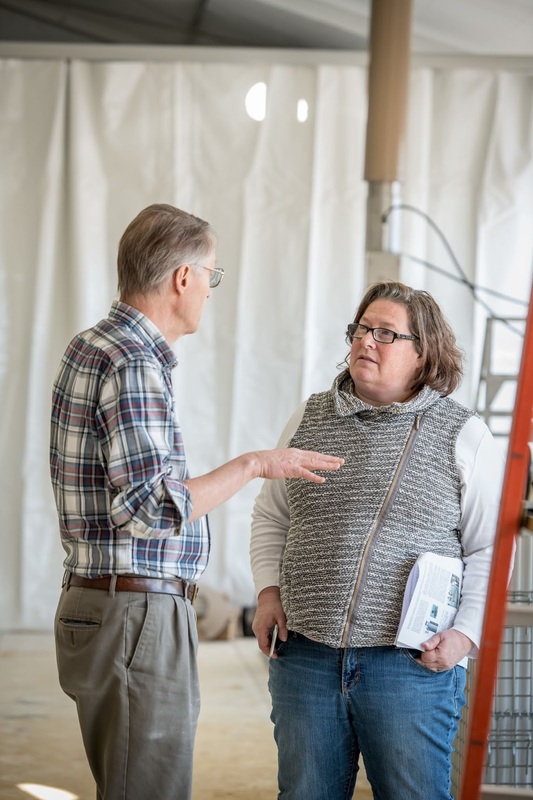 Ed and his wife Nancy focused on running a good business from August to February so that they could have time to garden, travel and enjoy life. They decided not to diversify into patio and barbecue products and instead focused on their core product: stoves. Bodmers carried pellet stoves for many years, but demand was not consistent, and they got out of the pellet stove business several years ago. They carried the top brands, including Harman, but even so, the repair issues were always so much higher than with wood stoves. “I’d sell a wood stove and didn’t see the person for another 20 years, when they came back to buy a newer one,” Ed recalled. pottery business out the store. Ed was very interested in our question about what percent of buyers were replacing older stoves compared to first time stove buyers. “I’d say it’s about 50-50,” Ed told us. Bodmers had a lot of repeat customers, but unlike retailers of most consumer goods, the stove buyer only comes back every 20 – 30 years. But that meant a lot to Ed, and he really enjoyed those customers who he had sold to in the 1980s or 1990s. A lot of them who bought one of the original catalytic Vermont Castings wanted another catalytic Vermont Castings. Ed told us that a lot of his customers did their research and knew that a catalytic stove would give a longer burn and higher efficiency, and that is what they wanted. “So, we always sold a lot of catalytic stoves,” he said. Ed told us that he had very little inventory that was not 2020 compliant and it would not be hard to get rid of it before June 2020. Bodmer’s is not an HPPA member currently but has been in the past. By staying in close touch with the manufacturers of the stoves he sells, he has stayed abreast of all the recent changes the industry is going through. He said that ordering and receiving new stoves has become even easier these days, and he could order a few Vermont Castings, for example, and have them in the store quickly. He also didn’t seem too worried about June 2020, when the stricter emission standards kick in. “I heard Jotul just won a Vesta award for an upgraded Oslo and I look forward to seeing that” Ed told us. He currently has an older Oslo in his home. The only question Ed had about the 2020 deadline was whether there would be another a price increase, which would be hard for some of his price sensitive customers. oppose delays in the NSPS timeline. Amid the scores of comments filed in response to the EPA’s proposal to weaken Obama-era wood stove and boiler regulations, not a single state came out in support of the Trump Administration’s proposals. Attorney Generals from eleven states (CT, IL, MA, MD, MN, NJ, OR, NY, RI, VT & WA) filed detailed comments and are likely prepared to sue if the EPA tries to weaken the existing regulations. Even Alaska and the Western Governors Association is backing the Obama-era timeline. A more troubling sign for the wood stove and boiler industry is an energized, engaged and knowledgeable array of states, air agencies and non-profit organizations that have lined up to oppose virtually all the changes that the stove and boiler industry is seeking from the Administration. 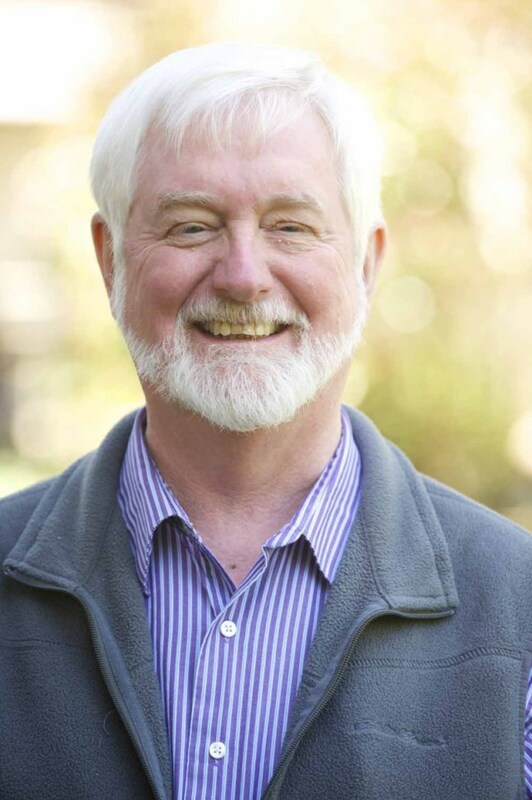 “We are seeing a polarization of stakeholders who once used to make alliances and find common ground,” said John Ackerly, President of the Alliance for Green Heat, an independent non-profit that promotes cleaner and more efficient wood and pellet heating. “The Trump Administration efforts has energized states and unified them across a range of issues, from compliance deadlines, to test methods, to regulation of wood pellet composition, to warranties and audits for stoves,” Ackerly said. Key excerpts of stakeholder comments which this analysis is based on can be found here for those who don't want to download and read through hundreds of pages of comments. The biggest issue on the table is whether the EPA will extend a deadline and allow retailers to sell dirtier wood boilers and furnaces – and possibly wood stoves – until 2022 instead of 2020. The EPA has indicated an interest to provide this relief to wood boiler and furnace manufacturers and retailers, but time is running is out and the agency has been moving slowly on this issue. It’s also unclear if states would be able to get an injunction to prevent such a move while it was being litigated. Scores of comments submitted to the EPA depict an industry that has few friends standing up for it outside its own network of manufacturers and retailers. Attorney generals from three states with Republican governors – Maryland, Massachusetts and Vermont – sided with democratic-led states in opposing any delay in stricter emission standards taking effect. Among industry, there is widespread unity to allow retailers two more years to sell Step 1 boilers, furnaces - and stoves - that are set to go off the market in May 2020, although a handful of small manufacturers and importers support the existing timeline. While manufacturers argue forcefully that they need a two-year sell-through, they are also having to assure their retailers that they will have 2020 compliant products. 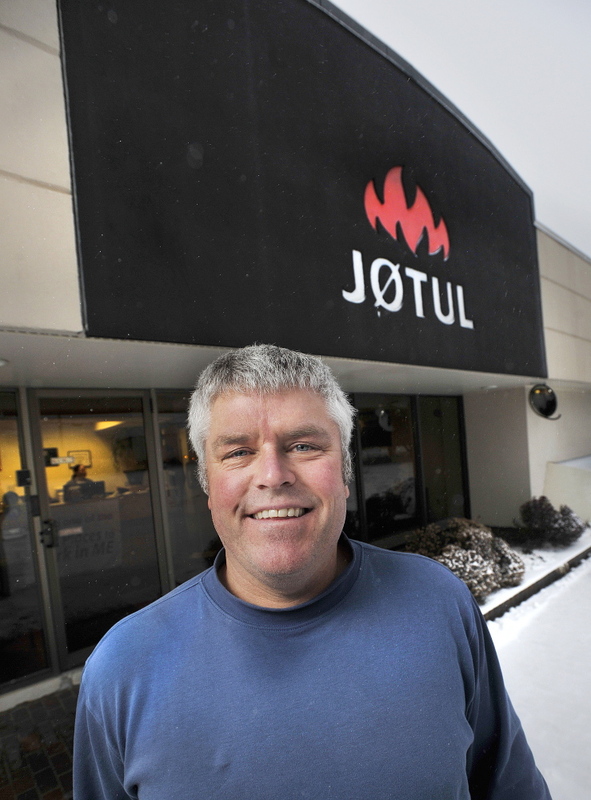 For example, in comments submitted to the EPA, Jotul says it faces dire economic consequences with $2.5 million in raw cast iron at stake if a 2-year sell-through is not granted. But in an industry magazine read by retailers, Jotul says they are doing “very well” certifying their 2020 models and expect to release their new 2020 models later this year. Based on the EPA’s list of certified wood stoves, it appears that Jotul is one of the manufacturers who is far behind schedule, as they do not yet have a single 2020 compliant stove on the list. Industry sources have said that the list of EPA certified stoves far underestimates the preparedness of many manufacturers who may be waiting to submit test data for 2020 compliant stoves until they are closer to the required date. 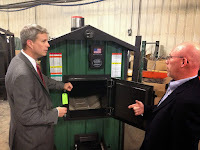 The main regulatory focus has been on a sell-through for outdoor wood boilers, also known as hydronic heaters, and inexpensive indoor wood furnaces. Leaders of those companies have been testifying to Congress and lobbying the administration. For central heaters like boilers and furnaces, the main industry association, the Hearth, Patio and Barbecue Association (HPBA) is calling on the EPA to “repeal those standards altogether.” Strengthening emission standards for wood boilers and furnaces was one of the largest goals of the 2015 New Source Performance Standards (NSPS), and this call to deregulate that industry altogether represents a new front in the widening gulf between industry, states and air quality agencies. US Stove, the dominant manufacturer of indoor wood furnaces is also calling on the EPA to repeal emission standards for furnaces because the “economic feasibility of meeting the standards is impractical” and the emission levels are “preposterous and unrealistic.” However, a far smaller competitor, Lamppa Manufacturing already has a furnace that meets the 2020 standards. When it comes to outdoor wood boilers, fringe voices are not uncommon. There is a group of retailers and consumers supporting the “Hawken Proposal”, which calls for getting rid of federal emission standards for outdoor boilers altogether and letting states and municipalities voluntarily adopt standards. The proposal is being led by Hawken Energy, a Missouri based company that believes the federal government should not interfere with how people heat their homes. Energy with Rep. Bill Huizenga (R-MI). 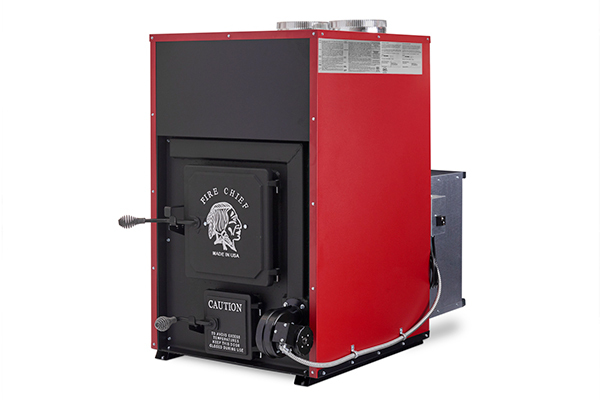 An important concern among the outdoor wood boiler community is that the EPA has no enforcement capability to rein in the many manufacturers of unregulated outdoor boilers. Yoder Outdoor Furnace, a HeatMaster retailer in Virginia said, “until [EPA] enforcement actually happens no manufacturer can afford to invest heavily in testing as these cheap illegal models will not allow them to recoup costs.” That sentiment was echoed in many comments from industry, and it would seem to be an issue of concern to states and air quality agencies as well. However, states and air quality agencies did not mention this problem in their comments. By opening the door to changes in the compliance timeline for stricter emission standards, the EPA may have built far more momentum for a new NSPS process in 2023. The NSPS is supposed to be reviewed every eight years, and states and groups are likely to sue again to keep the EPA to that timeline. Virtually all the states and air quality agencies engaged in fighting EPA’s proposed changes are now calling for far-reaching changes in the 2023 NSPS. If a democrat is in the White House in 2023, this momentum may result in even stricter emission limits and test method changes. A group of eleven Attorney Generals said the 2020 emission standards are already “too lax.” If President Trump is re-elected, industry is likely to keep the upper hand and consolidate its goals, barring defeats in court. In addition to seeking input on granting a two-year sell-through for retailers for boilers and furnaces, and possible stoves, the EPA identified a half a dozen other issues for which it wanted feedback, from cordwood test methods to compliance testing. One area on which industry, states, air quality agencies and other groups all agree is the need to move toward testing and certification that more closely represents in-field operating conditions and performance. This means testing and certifying stoves with cordwood, instead of crib wood (2x4s and 4x4s), capturing start-up emissions and potentially making even more structural changes to how stoves are tested. The agreement may end there, however, as states and air quality agencies have now coalesced behind a test protocol being developed by Northeast States for Coordinated Airshed Management (NESCAUM) and the New York State Energy and Research Development Authority (NYSERDA), called the Integrated Duty Cycle (IDC) method. Industry is firmly behind the ASTM E3053 method that they developed through a consensus-based process from 2015 to 2018. Neither side is proposing a rapid change to mandatory cord wood testing. States and air quality agencies are looking to the next NSPS in 2023 to consolidate their positions and interests. The State of Oregon, home to most of the test labs and the very first certification testing in the mid 1980s, submitted comments that were particularly critical of ASTM methods. While states and air quality agencies say that they do not want to change the existing NSPS and believe that any changes to testing and emission standards should be taken up in the 2023 NSPS. However, they are calling on EPA to “adopt a requirement now, to take immediate effect, for the concurrent use of a tapered element oscillating microbalance (TEOM) test method to measure real-time particulate matter (PM), using the NESCAUM Standard Operating Procedures.” Such a requirement would seem to involve a change to the current NSPS, unless it were a voluntary measure that labs could undertake as part of a research effort outside of it. Once stoves or boilers are tested by third party labs, those labs currently send the test reports to the EPA for review and then the EPA issues the certification allowing the manufacturer to make and sell the appliance. Industry urged the EPA to ask for comments about a change in this process, whereby the lab would test the appliance and grant the certification, bypassing review by the EPA. Industry points to delays and backlogs at the EPA enforcement office, which takes up to 90 days to grant certificates once the lab provides the necessary documentation. on proposals to revise the NSPS. Again, states and air quality agencies have lined up to oppose this proposal, arguing that the same lab that is paid by the manufacturer to test the stove should not be paid by the manufacturer to issue the certification. With cutbacks to EPA funding, it does not appear likely that the EPA would hire additional people to help streamline the certification process and at the same time provide other oversight and enforcement of the NSPS, such as cracking down on manufacturers of uncertified outdoor wood boilers. ardent promoter of catalytic stoves. Others in industry, such as Hearth & Home Technologies, took the position that if a stove is to be audited, it should be done by the same lab that tested it initially or another lab chosen by the manufacturer. States and air quality agencies are taking a uniform position that “only an independent, third-party lab should be selected to conduct all compliance audit testing so that there is consistency across the program and that a lab that conducts certification testing is not permitted to conduct audit testing.” NESCAUM proposed that Brookhaven National Lab be designed as the independent lab. This topic drew less attention from states and air agencies, but most supported the retention of warranty language for cat stoves and the addition of warranty requirements for non-cats, “particularly ones for key components related to controlling emissions from the device (including, among others, tubes).” Blaze King, a vocal leader on this issue, agreed that if any type of stove is required to provide warranty language, then all stoves should have that requirement. Steve Muzzy, head of Central Boiler. Some industry players see a solution to emission standards by holding pellet appliances, and possibly also catalytic appliances, to a stricter standard. Central Boiler charged that the EPA was “negligent” to hold stick wood and pellet appliances to the same emission standard. 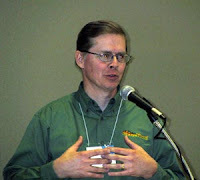 In an exasperated and testy comment, Blaze King accused Jotul of working with the State of Maine to “spread false, misleading and out of date information in an effort to secure market share.” Jotul has been a strong advocate for non-catalytic stoves and was instrumental in distributing a form letter to retailers to submit to the EPA that severely criticized catalytic technologies. 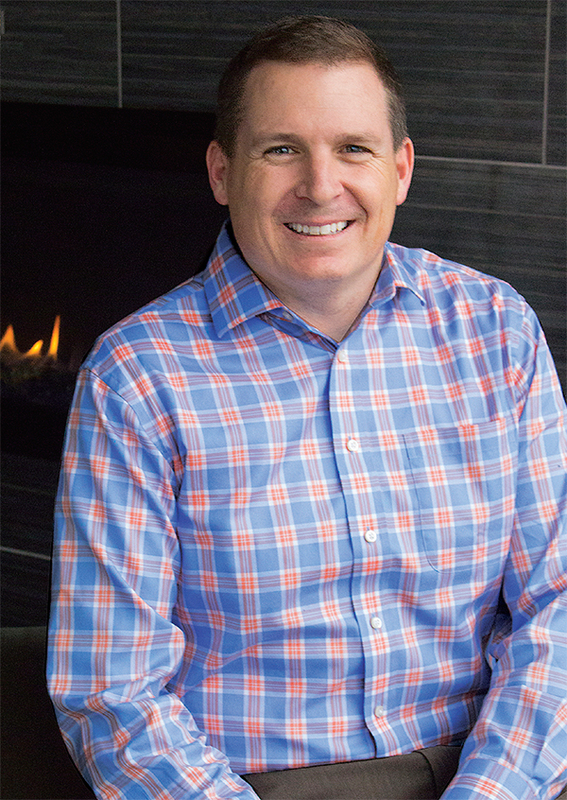 An unspoken rule in the stove industry is never to criticize another manufacturer by name, but the Blaze King feud with Jotul has only become more intense as the NSPS revision process increased the stakes of the game. It should be noted that in Jotul’s official comments to the EPA, they did not call for a bifurcation of emission standards. The role of wood and pellets as a renewable, low carbon fuel is virtually lost by the EPA, industry, states and air agencies. Technically, the renewability of wood plays no legal role in setting emission regulations or other EPA policies governing wood and pellet heating. However, many industry comments referred to the important role that wood heating plays in the lives of rural, lower income households, allowing them an affordable alternative to fossil fuel heating. While it didn't appear in their comments, many of the states urging the EPA to maintain cleaner emission standards are also providing incentives for more deployment of wood and pellet heaters. New York, Vermont, Massachusetts, Maryland and others all have programs aimed at strengthening modern wood heating. The Alliance for Green Heat was founded to promote the role of biomass as a low carbon fuel source and has tried to gain industry support for innovation leading to the automation of wood stoves. But for now, the sides have been drawn on this issue based mostly on affordability vs. cleanliness, not on carbon. The EPA has said that it may make a decision on whether to grant wood boilers and furnaces a two-year sell through in the spring of 2019. As for all the other issues, including a two-year sell-through for stoves, they have only issued an advance notice and still have to decide if they will issue a formal proposal. That proposal would also be followed by a public comment period and it is difficult to imagine a scenario that the EPA could announce any “relief” for manufacturers before winter of 2019/2020. to deliver on wood heaters. Industry came close to securing a more robust compliance extension from Congress in 2018 but fell short in the Senate. With Democrats now in charge of the House, Congressional support for weaker or delayed emission standards is not an option in 2019 or 2020. Clearly, the attempt to dilute the NSPS by the Trump Administration has coalesced and unified states and air agencies behind positions developed by NESCAUM and others. They are looking to 2023 to regain the ascendancy that they lost under Administrator Pruitt and Wheeler’s leadership at the EPA. If democrats take the White House in 2022, rewriting the NSPS starting in 2023 could be a possibility. But a democratic White House and EPA would, in turn, energize Republican governors who seem to have been complacent during this comment process. Under Republican Governor LePage, Maine was the one state that was emerging as a vocal supporter of the EPA’s deregulation of wood appliances, but during the comment process, a Democratic Governor was elected. At this point, time is critical as May 2020 approaches. It appears that the issue was not important enough for the EPA to put on a faster track and members of Congress supporting the hearth industry were not able to change that. With a little more than a year to go, the question is – is it too late anyway? The Alliance for Green Heat did an analysis of stakeholder positions which can be found here and also pulled out these excerpts for those who do not want to download and wade through hundreds of pages of comments, much of it repetitive. We have taken key excerpts from all sides of the debate to highlight differences, The full comments can be found here. Many other comments can be found in response to the EPA’s request for comments of the Proposed Ruleto give a sell-through for boilers and furnaces. 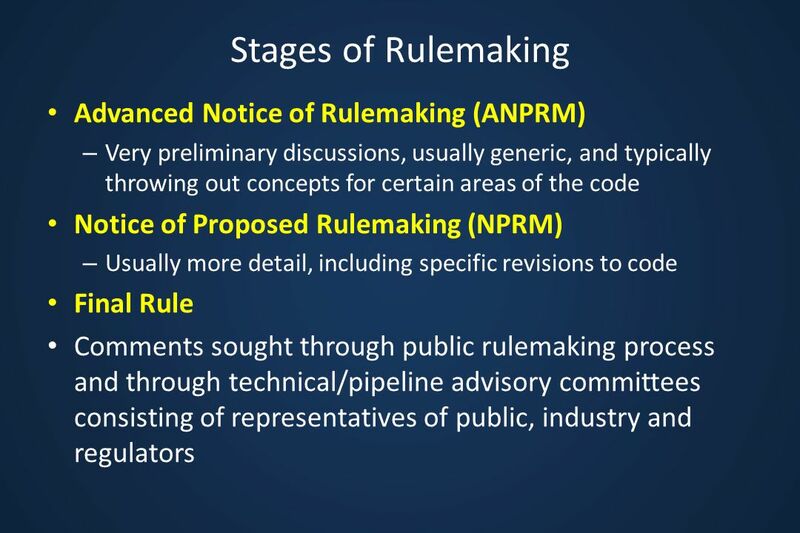 We only excerpted language for comments to the advance notice of proposed rulemaking, which elicited a far wider range of responses. Excerpts are organized by: State Agencies, Industry, Retailers, Air Agencies, Federal Office and Non-profits. The step two compliance date is feasible and necessary to protect public health. Any delay in the implementation of the step two standards would have significant adverse public health consequences. Moreover, EPA has not provided any basis to change its previous determination that five years was an adequate amount of time for manufacturers to develop cleaner burning devices. · The step two standards for wood boilers and forced-air furnaces are also feasible. · Finally, the evidence shows that the 2.0 g/hr. emission limit is already too lax. In 2014, EPA proposed to set a limit of 1.3 g/hr, which the Attorneys General of New York, Maryland, and Massachusetts supported based on demonstrated cost effective design technologies that could reduce emissions. 1. The 2015 New Source Performance Standards for wood stoves, hydronic heaters, forced air furnaces (40 CFR 60 Subparts AAA and QQQQ) should not be reopened. Any changes to the rule (see items 2-3 below) should be addressed during the first review period for these rules in 2023. 2. The Environmental Protection Agency should adopt the Integrated Duty-Cycle (IDC) Test Methods under development by Brookhaven National Laboratory and the Northeast States for Coordinated Air Use Management prior to the 2023 rule reviews. 3. The 2023 rule reviews should lead to PM emission standards based on performance data generated using the IDC Test Method. 4. EPA should ensure that third-party certification reviews are not conducted by the laboratories conducting the certification tests. In the event that EPA weakens the 2015 NSPS rules, it is likely that several states, including New York, may consider backstop regulations to bring the NSPS provisions back into effect, potentially resulting in a patchwork set of state regulations that may increase compliance costs to manufacturers. The emissions from wood heaters represent a critical public health and environmental issue in the West. Since the 1980s, states have implemented regulatory and voluntary strategies to address these emissions. The efficacy of such strategies depends on an effective NSPS. The Western State Air Resources Council (WESTAR) requested that EPA extend the comment periods for the NPRM and ANPRM for an additional 45 days to provide sufficient time for state regulators to fully evaluate these proposals. WESTAR also requested that EPA hold a second public hearing in the West, as the only hearing on these proposals was held in Washington, D.C., with a minimal two-week notice. EPA summarily denied these requests, hampering the cooperative federalism that this Administration has made a priority. Western Governors request that EPA maintain the current NSPS compliance deadlines for new residential wood heaters. Oregon communities depend on the NSPS and particularly the 2015 NSPS for residential wood heaters to complement our efforts to attain the National Ambient Air Quality Standards for PM2.5 to protect community health and environmental quality. Since wood heaters are not manufactured in Oregon, any public health costs associated with EPNs proposed rules in the NPRM or this ANPRM are disproportionately accrued to Oregon. ODEQ is concerned that this language [in the ASTM 2515 cordwood test method] allows manufacturer instructions to change almost any aspect of the emissions test method, without the requirement, such as fuel species or loading, to include these changes in the test report or the owner's manual. This language is highly problematic and opens up the test to significant modifications that impact emissions measured during the test. The manufacturer should not be provided the discretion to determine what information is provided to owners or regulators regarding test results. Considering the test method research described above, EPA should build upon this multiyear effort by adopt a requirement now, to take immediate effect, for the concurrent use of a tapered element oscillating microbalance (TEOM) test method to measure real-time particulate matter (PM), using the NESCAUM Standard Operating Procedures, along with standard filter measurements for all EPA residential wood heating device NSPS certification testing, including pre-burn activities. For all testing, a complete real-time emission profile should be submitted as part of the non-confidential business information (CBI) portion of the test report. With respect to the selection of the lab to perform audit testing, one independent, third-party lab should be selected to conduct all compliance audit testing so that there is consistency across the program. The audit testing lab must not be allowed to complete certification testing for devices that it is auditing to ensure that the audit process is unbiased. With respect to variability in the compliance audit testing program, wood stoves that certify at less than 1 gram per hour (g/hr) should be allowed a variability of ± 1 g/hr. For units that certify at more than 1 g/hr, the current variability provision is adequate. EPA seeks comment on retention, revision or elimination of the warranty requirements included in the 2015 NSPS Rule. DEQ supports the retention of the warranty requirements for catalytic devices. For non-catalytic devices, EPA should add warranty requirements, particularly ones for key components related to controlling emissions from the device (including, among others, tubes). In summary, MassDEP opposes any delay or weakening of the existing Step 2 emission limits, which would defer needed reductions in air pollutants that adversely affect the health of Massachusetts citizens. The existing NSPS has resulted in manufacturers developing cleaner wood burning devices that are achieving real emission reductions, and it is critical that the NSPS be fully implemented according to the schedule in the 2015 rule. MassDEP supports the development of new test methods that better reflect real world operations of wood heating devices, which should be included in the next update of the NSPS in 2023. EPA should therefore recognize that modifying the Step 2 limits or adjusting the Step 2 compliance date for wood heaters would disadvantage manufacturers who already completed the Step 2 certification process to comply with EPA's original deadline. Since 2009, HPBA has led efforts to move from crib wood testing to cordwood testing for all residential wood heating product categories, and we continue to support that transition. HPBA believes that a two-year sell-through period is critical to the health of the hearth products industry for —wood stoves, pellet stoves, hydronic heaters, and forced-air furnaces. Revising the current standards to provide a two-year sell-through period (from May 2020 to May 2022) for Step 1 stoves, roughly three-quarters of which are well under the 4.5 g/hr emission limit, would have a relatively miniscule environmental impact. EPA cannot remedy the errors in the Step 2 emission limits for central heaters by extending the compliance dates for central heaters. EPA should repeal those standards altogether. The Step 2 limit for forced-air furnaces was not based on any data. The Step 2 emission limit for hydronic heaters is not achievable at reasonable costs. Compliance with all emission limits should be on a weighted average basis. Manufacturers often focus on performance at more heavily weighted burn rates. EPA should limit audit testing to instances where there is suspected fraud in certification test results. Alternatively, EPA should add language to the regulations that prohibits audit testing for appliance categories until there has been a determination on variability for the applicable test. EPA should rely on ISO-accredited third-party certification bodies to issue certificates of compliance rather than continue to issue every final certification application itself. This would allow EPA to focus its limited resources on performing oversight and enforcement functions. As of today, there are companies testing and certifying stoves under this cordwood alternative, however hindsight is not a rulemaking mechanism that the EPA can or should use to regulate industry. The “limit” had already been set at 2.5 g/h before a test method even existed, and thus the EPA has artificially put its thumb on the scale. The only test reports that the EPA is going to see are those manufacturers who have been lucky enough to meet the 2.5 g/h limit. That is not how standards should be set. The EPA has stated it has given 5 years to meet the Step 2 2020 requirements. Although that may be true when looking at the actual dates, we, nor our industry as a whole, have not been given those 5 years to meet these requirements. The 5 years that the EPA intended, effectively moved to 3.5 years in the eyes of the wood heater marketplace. 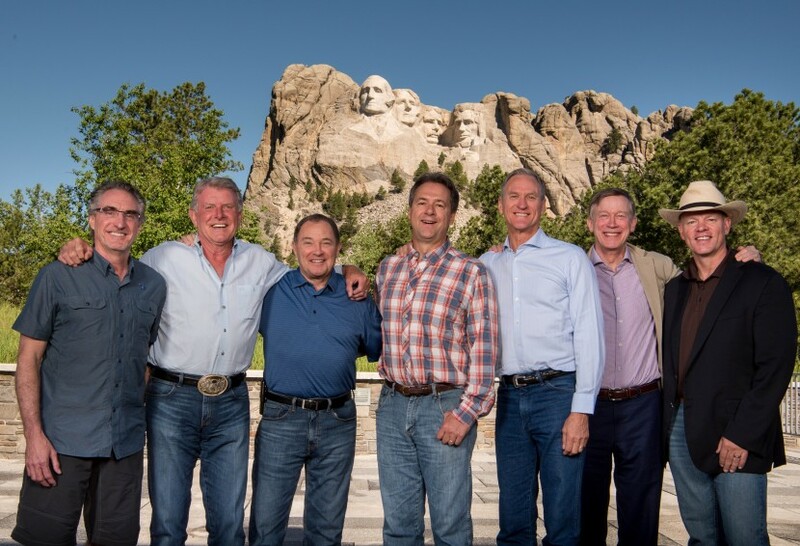 At USSC we analogize the 2015 rule for residential wood heaters to the feat of climbing Mt. Everest, you have to strategically take one step at a time. It is our opinion that EPA also did not consider the reduced revenue which has occurred because of the lack of sell-through. Therefore, we have not benefited from 5 years of revenue required to fund the work necessary to meet the 2020 deadline. The Step 2 requirements for forced-air furnaces as stated in the 2015 NSPS should be repealed; Step 1 standards for forced-air furnaces should be revisited at a future date to determine whether more stringent standards would be appropriate. There was no justification or data on the EPA’s part to warrant the Step 2 requirements. 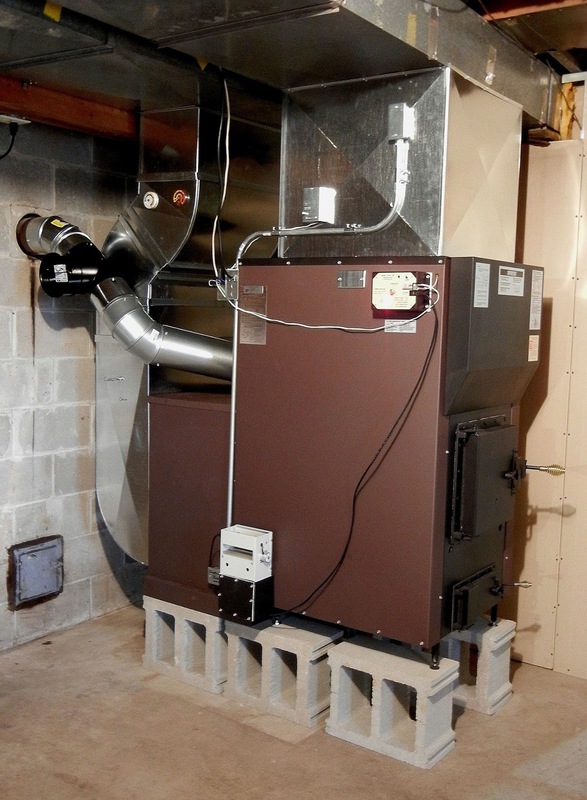 As we have stated above, the economic feasibility in the marketplace of a Step 2 compliant forced-air furnace is impractical given today’s technology. To move from a previously unregulated product (with no voluntary program) to Step 1 where these products are approximately 75% cleaner, and then in just 3 or 4 years later (small vs large forced air furnaces) move to approximately 97% cleaner (EPA estimates) at Step 2, without any data to justify a Step 2 limit, is preposterous and unrealistic. HHT strongly supports moving to a cord wood standard as it better aligns with the fuel type used in the real world, but manufacturers have invested millions of dollars designing, testing and certifying to Step 2 crib wood standards and will need additional selling time to recoup their investment to fund future cord wood designs. HHT recommends using ASTM E3053 until such time there is data showing that the ASTM method doesn’t replicate real-world cord wood emissions or that a new Federal Reference Method is needed. The wood stove and pellet stove users tend to be very different people. With respect to different emissions standards, we believe this is a secondary issue to the EPA first understanding the precision and repeatability of the different fuels before making any more changes to emissions standards. It is not appropriate for the EPA to select a lab to perform audit testing. With so much variability, it makes more sense to keep compliance audit testing with the same lab. The only way to streamline the process would be to allow accredited third-party laboratories to do the emissions testing and grant the certificate of compliance. Having the EPA review the application and test report, which can take as long as 90 business days/16weeks to complete, is not a good use of time and resources. Instead, they should rely on their ISO-accredited third-party laboratories to issue certificates and the EPA retain oversight and enforcement with the laboratories. We would support eliminating the warranty requirements of the NSPS. All manufacturers already have warranty language that if the appliance is not installed and operated according to the installation/owner’s manual, the warranty will be voided. This language would be the warranty whether the EPA required it or not, it is standard warranty language for an appliance. If our small company (Lamppa Manufacturing, Inc.) can pass the Phase 2 NSPS mandate (we were actually 40% cleaner than the Phase 2 mandate), these other manufacturers with their sizeable R&D resources should also be able to meet the mandate within the timeframe. Lamppa Manufacturing achieved the mandate solely by hard work and determination and by borrowing from our family's retirement funds. Lamppa Manufacturing adhered to the law and the timeline and has created a business plan based on meeting the NSPS. Our new manufacturing facility is being built at a cost of $1.8 million, plus the cost of additional production capital equipment . This investment would not have been undertaken if we knew the EPA was going to weaken or re-write the standard. We feel strongly that had EPA taken into consideration our comments for the 2015 NSPS, EPA and state regulators would have cordwood data that is real-world. Blaze King feels that Method 28R should be retained with crib fuel testing. We also feel that the goal of regulators, from various parts of the country with various species of wood, could be addressed. When a manufacturer advises EPA of an upcoming test of a wood heater, required by law, EPA would then direct the lab of record to conduct a randomly selected additional cordwood run. EPA would direct the test lab to conduct 1 run from low or medium low or medium high or high burn categories. Additionally, EPA would direct a species of wood for that run. The one extra cordwood run emissions result would not influence the weighted average. This would eliminate the need to have a cordwood standard specific passing grade and yet provide cordwood data. As an example, regulators from Washington would shortly have data for how catalytic wood heaters perform on low with Douglas Fir. Meanwhile, Eastern regulators would soon receive data on how secondary combustion stoves perform on hardwood on another burn category. Blaze King Industries, Inc. is aware of a letter sent to EPA date September 7, 2018 from the State of Maine Department of Environmental Protection (DEP). We are deeply concerned about a concerted effort by a state agency and a single manufacturer to work in concert to spread false, misleading and out of date information in an effort to secure market share. It appears the DEP is interpreting EPA’s solicitation of comments to include not just the bifurcation of pellet heaters from cordwood heaters, but additionally the return to bifurcated standards amongst cordwood heaters. The letter sent to EPA contains outdated and misleading falsehoods and statements. Blaze King Industries, Inc. is 100% in opposition to the bifurcation of cordwood heaters based upon current data and sound reasoning. Blaze King encourages EPA to make their decisions, as they have in the past, on science and data. Not the claims of two parties working in concert to benefit a single manufacturer. Although the MHA has submitted numerous comments, data research, and proposals, the EPA has not moved forward to consider the implications of adding masonry heaters to the EPA Certified List of Products. By leaving masonry heaters out of the EPA Certified Products List, the EPA is drastically limiting clean burning heating choices for American consumers, which is against the EPA’s purpose. The inclusion of masonry heaters in the NSPS would allow a cottage industry to grow into an industry that could encompass masonry contractors and hearth retailers throughout North America and promote the replacement of inefficient masonry fireplaces into safe, clean burning hearth systems. MHA research is “open source” and MHA intends to continue to share test data and assist state and federal agencies to promote clean burning options for customers who want the benefits of radiant heat and single batch burning appliances. · Eliminate Step 2 emissions until more data on cordwood testing using a widely accepted testing method can be collected to determine an effective, achievable level that reflects real world results as accurately as possible. My biggest concern has been the complete lack of enforcement by the EPA. Any person willing to take an hour or two can find on the internet numerous smaller manufacturers advertising untested and unapproved models of wood stoves and hydronic heaters. This has been a huge hindrance to sales of approved Step 1 units (like our G series) as they are $1,500 to $3,000 higher than these cheap polluting models. Our sales post 2015 are about 50% of pre-2015 levels. HeatMaster is promoting that their dealers comply with the 2015 NSPS. Which we should, but it has come at a cost.I would guess that until enforcement actually happens no manufacturer can afford to invest heavily in testing as these cheap illegal models will not allow them to recoup costs. in good faith don’t get punished. All we ask is for a level playing field. In the last 3 years, I have lost approximately 50 sales to other manufacturers and dealers that have completely ignored the law and sell illegal appliances to customers. I support reducing emissions from wood burning appliances, but I feel as though the EPA needs to enforce their lawmaking if they are making laws. We are trying to follow the laws but feel as we are being punished for it by lack of enforcement on companies who aren’t. NESCAUM opposes any changes to the emission standards promulgated under the 2015 NSPS. There is simply no need or basis to delay or weaken the standards in light of the large body of evidence demonstrating they are technically feasible and cost-effective. NESCAUM does not support any sub-categorization scheme under the NSPS and urges EPA to maintain the current single standards for all space heating devices and for all central heaters. Establishing different emissions standards based on control technology is contrary to the fundamental construct of the NSPS program, which embodies the notion that emissions standards are established according to the best system of emission reduction (BSER), rather than on specific control technologies. If EPA decides to sub-categorize, it must provide details as to the data used to deem the current BSER analysis deficient and complete new BSER analyses for each potential category to support sub-categorization. EPA must require that a different lab be used for audit testing than was used for certification testing to minimize biases associated with the pre-existing relationship between test facility and manufacturer. 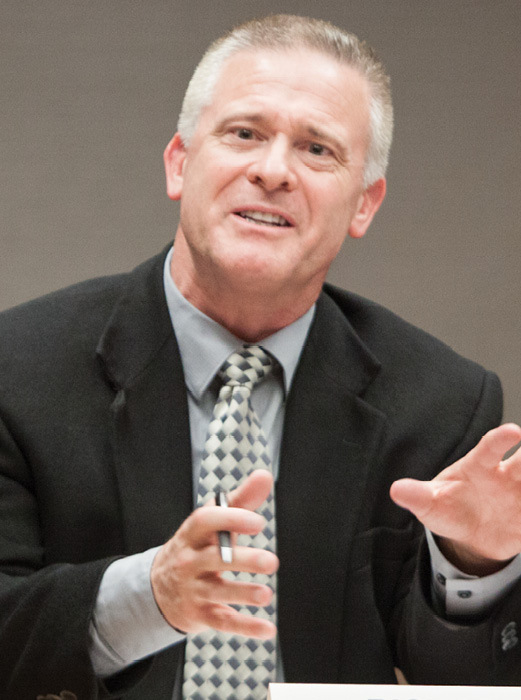 NESCAUM suggests that EPA consider using a single and independent federal lab, such as Brookhaven National Lab, for all compliance audit testing. NESCAUM recommends that EPA use the Integrated Duty-Cycle (IDC) approach as the platform for certification testing of all residential wood heating appliances in the future. This procedure is designed to be accurate, representative, repeatable and affordable. It incorporates emission measurements during typical operating situations, including start-up, reload, and transition across various heat output loads. The single-day test allows for replicate testing without increasing certification test costs. NESCAUM does not believe that the ASTM or CSA cordwood test methods for heaters, furnaces and boilers, as currently designed, effectively replicates real-world conditions nor do they provide solutions for precision and variability concerns. Existing information indicates that redesigning wood heating devices to comply with Step 2 emission standards has not generally resulted in increased retail prices. In fact, verified consumer cost data from state woodstove change-out programs show that on average, cordwood stoves with emission performance levels below the Step 2 standard of 2.0 grams per hour are priced somewhat less than those with certified emissions above 2.0 grams per hour. Many states in the Northeast provide incentives that further reduce the cost of purchasing and installing high efficiency, low emissions wood heating appliances. 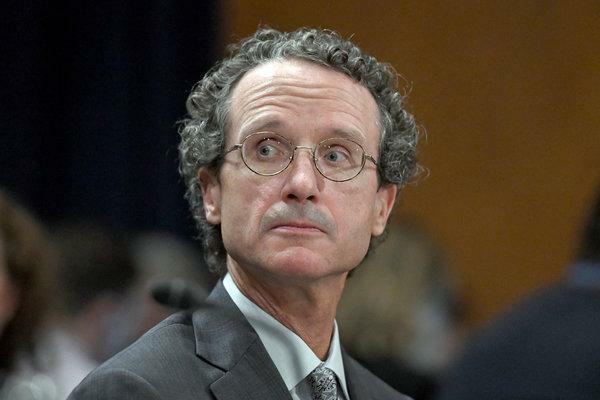 NESCAUM requests that EPA sunset EN303-5 as a qualified certification method for the NSPS as soon as possible, but no later than the May 2020 deadline in the rule. EPA should adopt a requirement, to take effect immediately, for the concurrent use of a tapered element oscillating microbalance (TEOM) test method to measure real-time particulate matter (PM) during certification testing. We recommend using the NESCAUM Standard Operating Procedures. EPA must undertake a review of the 2015 NSPS in 2023 and, based on its review, must revise the standards, if needed, to reflect improvements in methods for reducing emissions. EPA should reserve any review of or amendment to the level of or compliance dates for the 2015 NSPS until the statutorily required NSPS review, to begin in 2023. NACAA does not, however, support any changes in this regard at this time. Rather, the agency should begin now to develop new test methods as described in these comments, above. 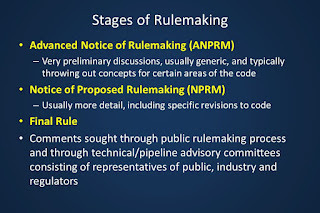 With a rigorous schedule these methods could be completed and available for the statutorily required NSPS review in 2023. We urge that EPA work closely with state and local air agencies, as well as other stakeholders, throughout this test-method-development initiative. Also related to testing, EPA should adopt a requirement now, to take immediate effect, for the concurrent use of a tapered element oscillating microbalance (TEOM) test method to measure real-time particulate matter (PM), using the NESCAUM Standard Operating Procedures, along with standard filter measurements for all EPA residential wood heating device NSPS certification testing, including pre-burn activities. In the final 2015 NSPS Rule EPA did not include a weighted-average approach for HH and FAF Step 2 compliance and, instead, called for these devices to meet the standards at each individual burn rate to prevent large emission discharges. NACAA opposes the use of a weighted-average approach, which minimizes peak emissions, thereby presenting a less accurate reflection of in-field performance and would have the effect of weakening the Step 2 standards. The best system of emission reduction (BSER) analysis conducted by EPA for the 2015 NSPS Rule, and which underlies the Step 2 standards, did not include use of a weighted average. If EPA believes compliance should be determined with a weighted average instead of an individual burn rate the agency should conduct another BSER analysis to make this case and also demonstrate why its analysis for the 2015 NSPS Rule resulted in a different conclusion. With respect to the selection of the lab to perform audit testing, one independent, third-party lab should be selected to conduct all compliance audit testing so that there is consistency across the program and that a lab that conducts certification testing is not permitted to conduct audit testing. NACAA does not support allowing the EPA-approved lab that conducted the certification testing to also act as the third-party reviewer of the test results and recommends that EPA amend the 2015 NSPS Rule to prohibit this from occurring. CARB supports the progress of the integrated duty-cycle test method being developed by Brookhaven National Laboratory and the Northeast States for Coordinated Air Management (NESCAUM).5 The proposed test methods address what is absent in the current test methods. The ANPRM’s requests for information with respect to the emission limit for wood heaters do not request the right information, are biased and outcome seeking towards collecting evidence for weakened standards and miss the opportunity to collect the data necessary to perform an accurate and complete economic and regulatory impact analysis. Asking “whether Step 2 is achievable at a reasonable cost” is not the correct framing of the question. The answer to this question seems predetermined, particularly for those who ostensibly have “been unable to design a wood heater to meet the Step 2 standard.”28 There is no information provided as to how to identify what is “reasonable,” nor is there any request for the necessary evidence to back up a claim that a cost is not “reasonable.” Leaving a regulated entity to decide what cost is “reasonable” will undoubtedly provide a biased and outcome-seeking response. CARB supports the use of modern electronic reporting tools for both the certification process and subsequent public use. Electronic submission will speed up the certification process, increase transparency, and give the public up-to-date information on certified devices and those waiting certification, as well as information on devices that been denied certification and why. U.S. EPA should insure that information in the database will remain available. Wood heating appliances are made to last decades and the public should be able to get information on any certified stove, no matter when the certification was achieved. The requirement to offer a warranty on a new residential wood heater is particularly critical in low-income households. Due to financial constraints, low income households often buy the least expensive devices; if problems arise, they may not have resources to buy replacement parts, leading to unsafe and higher polluting operations. This notice requests comments on nearly every aspect of the standard: test methods being used or planned for use; the feasibility of meeting the promulgated compliance deadlines; the feasibility of the promulgated emission limits; revising averaging periods used to determine compliance with the standard; how testing companies are regulated; and how testing data is provided to EPA. Some of these concerns may merit evaluation, however, the MPCA believes that conducting this assessment prior to final implementation of the standard is premature. EPA is already required to re-evaluate the NSPS under Section 111(b)(1)(B) of the Clean Air Act (CAA)-the Act requires EPA to re- evaluate NSPS eight years after adoption. The MPCA believes that EPA should reserve any review of or amendment of the 2015 NSPS, and instead conduct its revisions or re-evaluations under its authorities of the statutorily-required NSPS review after the compliance deadline. EPA is soliciting comment on determining compliance with weighted averages instead of individual burn rates. A federally enforceable emissions standard is composed of an emissions limit, a method for measuring or determining emissions, and an averaging period. Similar to our comment about using a new emissions test method, revising the averaging aspect of the emissions essentially revises the standard. In order to consider a weighted average, EPA must evaluate all aspects of the standard- emission limits, averaging periods and the emissions testing method that the emission limit is based on. The record also highlights the several decades EPA and states have worked with the wood heating industry to develop clean, efficient heating products. To that end, the compliance deadline should come as no surprise to any party involved in developing, testing, or manufacturing the equipment. The contemplated changes are deeply impactful to public health; implementation of the standard should not be delayed. 1. Maintain, at a minimum, the 2015 NSPS Step 2 emission limits for new residential hydronic heaters, forced-air furnaces and wood heaters. 2. Keep the 2020 compliance date for the Step 2 emission limits for forced-air furnaces, hydronic heaters and wood heaters as specified in the 2015 NSPS. 3. Cord wood testing methods should continue to be developed and provided as an option for emission testing since cord wood more closely mimics how consumers use wood heating devices. 4. As more is learned about appropriate cord wood testing methods, a path for switching exclusively to cord wood testing for wood heating devices should be incorporated into the wood stove NSPS. 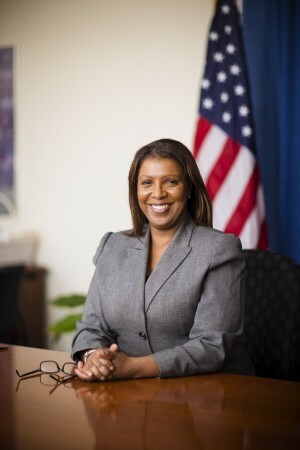 Because Advocacy is an independent office within the U.S. Small Business Administration (SBA), the views expressed by Advocacy do not necessarily reflect the position of the Administration or the SBA. Advocacy strongly supports the proposal to provide a “sell-through” for hydronic heaters and forced-air furnaces and strongly supports extending a similar provision to wood heaters. In addition, in response to the Advance Notice of Proposed Rulemaking, Advocacy recommends EPA consider the following measures to reduce the burdens on small businesses. · Delay the step 2 compliance date by at least two years. Small businesses have lost the sales of their step 1-compliant appliances for the 2019-2020 winter, which has had the effect of forcing exit from the market and delaying R&D for step 2-complaince appliances. · Review certification procedures to eliminate delays that do not contribute to environmental benefits. EPA should examine its records of step 2 certification to determine whether EPA pre-approval has prevented non-compliant appliances from coming to market. If the significant delays reported by industry are a result of incomplete submissions that have not required subsequent changes to the underlying appliance, then EPA should allow self-certification based on third-party testing. · Reconsider treating all residential wood heaters as one product category. EPA regulates residential wood heaters fueled by wood pellets the same as those fueled by cord wood. While this is consistent with EPA’s stated desire to not show preference to any particular fuel in its air quality regulations, it may not be appropriate in a market where the vast majority of intended air quality benefits come from replacements rather than new installations. A customer seeking to replace a wood heater fueled by cord wood is discouraged from changing out if the available replacements are mostly fueled by pellets. EPA’s suggestion that the agency may revisit the possibility of using weighted averages instead of requiring compliance with emission standards at each burn rate for central heaters would needlessly reopen an issue that was thoroughly examined and resolved in the 2015 final rule. See 80 Fed. Reg. at 13,684, 13,690. In order to ensure that wood burning devices do not harm public health in any reasonably anticipated operating mode, EPA must require units to comply at each burn rate, not merely on a weighted average of the unit’s performance at each tested rate. EPA’s observation that more pellet stoves meet the Step 2 standards than crib or cord wood stoves does not support the adoption of weaker emission standards for crib or cord wood-fired heating devices. The fact remains that the Step 2 standards are achievable using crib or cord wood. Section 111 does not require EPA to establish standards of performance that can be met by all types of sources using all types of fuel. Integrity of the testing and certification process. EPA seeks comment on whether compliance audit testing “should be performed by the same lab that did the certification test for a given wood heater appliance.” 83 Fed. Reg. at 61,592. EPA does not suggest what advantages this approach might have, but it has at least two clear drawbacks. First, engaging different labs to conduct audit testing will likely help to reveal ambiguities in the application of EPA’s test methods to specific products, by increasing the opportunities for different personnel at different testing labs to apply the same test method provisions to the same model of wood burning equipment. The Step 2 Standards adopted in 2015 were more than two decades overdue, despite explicit requirements in the Clean Air Act that such standards must be updated every eight years. They already included an unusually long implementation period. Normally, new source performance standards must be met immediately by the affected industry, particularly when the technology needed to meet these standards exists and is in use today. The European System showed in 2010 that comparable units were possible and produced greater efficiency in wood use and heat production (MusilSchläffer et al., 2010). Furthermore, as EPA notes, more and more American manufacturers produce many product lines that already meet these standards. However, the 2015 standards afforded industry five years to meet the new requirements, far longer than other industries, such as the automobile industry, receive. AGH believes it is premature to artificially protect the market for non-catalytic stoves by extending a sell-through to all classes of stoves, including pellet stoves. While we are likely to see a small rise in the price of many stoves as a result of Step 2 compliance, there is a noticeable lack of data supporting such a conclusion. There is very little data about the proportion of consumers buying a wood or pellet stove for the first time, as compared to those who are replacing an older stove. And often families switch from wood to pellet stoves, or vice versa. First time stove buyers and those who will buy a stove anyway, may be far more numerous than those who would have bought a new stove if it were $100 cheaper.